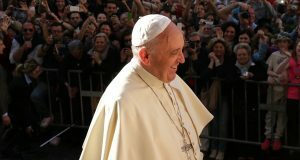 DERMOT ROANTREE :: Pope Francis may be the most popular man in the world, but he certainly has his critics. The most vocal – and at times intemperate – of these may be found in the ranks of those who self-identify as conservative Catholics. The problem at base is different understandings of Vatican II.